We sometimes encounter people, even perfect strangers, who begin to interest us at first sight, somehow suddenly, all at once, before a word has been spoken. The word stranger comes from the Latin extraneus, the closest translation of which is along the lines of ‘outside of us’. It’s perhaps no surprise that lyricists have long taken inspiration from the presence of strangers; they represent a physical embodiment of the world outside of our own heads, and represent a prospect for a greater understanding of the world we spend our lives attempting to interpret. Perhaps the classic stranger in a song was created or perhaps recalled by Ray Davies back in 1971, you know the story right? He met in her in a bar down in Old Soho, where you drink champagne and it tastes just like Cherry-Cola! We’re of course talking about Lola, she who squeezes you tight and almost breaks your spine, well Ray nearly fell for her and might have done but for a nagging suspicion that all wasn’t quite as it seemed “in this mixed up, muddled up, shook up world.” For a generation who were brought up on their parents Kinks collection, Lola was probably our first experience of the concept of drag queens, and much like Ray before us, it was undeniably intriguing! Tom Waits may famously have written “I Never Talk To Strangers” but based on the fact that song was one of the best recollection of a chance meeting in a bar you’ll ever come across, there’s probably some evidence to suggest the famous old raconteur might have been telling us lies. Taking on both sides of the story he plays out a perfect coming together of a girl in bar, tired of all the old pick up lines, and the boy pleading, pointing out that everyone is a stranger at some point. It’s a tradition as old as music itself – there will always be strangers, and there will always be singers to tell their tales. 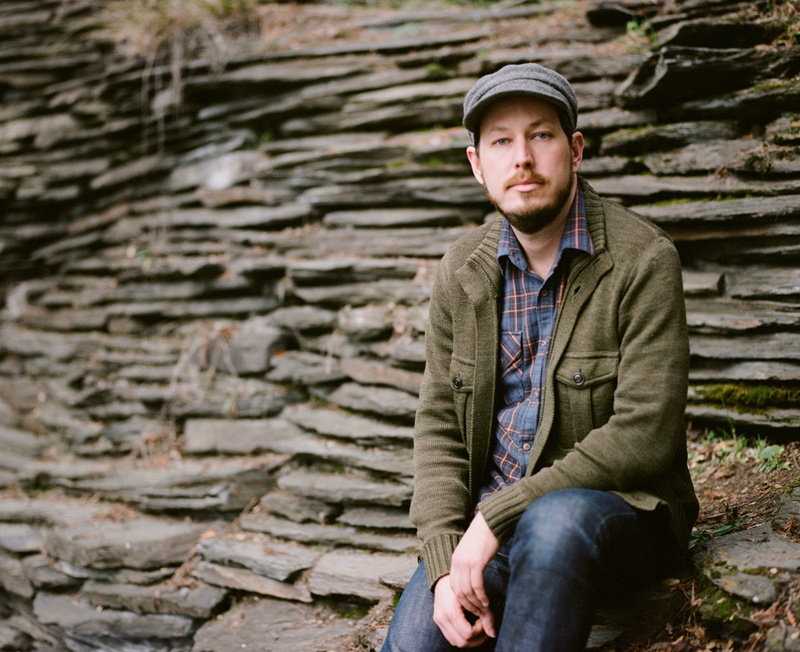 Since 2003, San Francisco Native, Andy Cabic, has been making music under the name Vetiver. Throughout the twelve ensuing years of music he’s been backed by a fluid band of very talented, and sometimes famous friends; Devendra Banhart added guitar, and Joanna Newsom harp to 2004’s self titled offering, Jonathan Wilson appeared on 2009’s Tight Knit, while Jenny Lewis and Johnathan Rice popped up on the bands last output, 2011’s The Errant Charm. He could be forgiven for a touch of jealousy at their commercial and critical acclaim, however, there’s little to suggest it on the supremely cheery Current Carry. It’s a Sun-drenched pop song, starting off life with processed beats, and an acoustic guitar with a Latin lilt, it morphs into something that’s so delightfully up-beat that it recalls the hey-day of Motown and even a touch of funk. Lyrically he’s declaring “how lucky I am to call you mine” and only gets cheerier from there, noting “if I’m quiet I’m just thinking of how good it gets.” If he’d spent a career writing pop-songs like this one, he might have sold more than all of his collaborators back catalogues put together, but in doing so he’d of lost what’s possibly Vetiver’s finest skill, their ability to counterbalance the sunshine with a heavy dose of melancholy. Whilst early Vetiver recording saw them declared folk by association, they have for a long time now, sounded more like a vintage, West-Coast, soft-rock band. As long ago as 2006, on the excellent, To Find Me Gone, Andy was shaping his music away from straight forward folk. There were hints of Crosby, Still & Nash, smatterings of Fleetwood Mac and in the absolutely sublime Been So Long, enough to suggest that Vetiver might be suitable heirs to their throne. The albums relative success, along with that of a rather excellent covers album, saw them sign a deal with Sub-Pop in the US and Bella Union over this side of the pond. Two records 2009’s Tight Knit and 2011’s The Errant Charm, followed to a somewhat muted reception, the general opinion seemed to be they were well crafted, pleasant, but frankly a bit forgettable. They were so laid-back they were in danger of going backwards, and for many they seemed too close to just becoming background music. For a band who’ve parted company with their record label, and taken four years making an album, Complete Strangers is a record that’s remarkably comfortable with itself. Vetiver, outwardly at least, seem to remain a band who are entirely unfazed by fashion and unaffected by trends; not that there’s a complete lack of progress, but it’s a subtle change rather than a grand departure. Cabic’s vocals remain soft, hushed, undeniably pleasant, and the guitar tones, production and instrumentation are stunning throughout, the product of a 12 year relationship with his most reliable collaborator and producer Thom Monahan. Even when they move on from the Americana meets Soft-Rock starting point they’ve crafted so well over the years, they still manage to bring themselves back to their naturally gentle pace. So Stranger Still starts off with electronic trills and squelching beats that makes you briefly feel you’ve put the new Caribou record on by mistake, but as the beats resolve into an African sounding drum beat, and the early electronics fade into melodious guitar swells, you find yourself once more awash in a sea of dreamy, beautiful music that’s more about moods and textures than it is about rock and roll thrills. Shadows Lane is a pure pop song with a Gallic flair, it recalls Stereolab or Clientelle, but soon via a wah-wah covered electric guitar and that easy going vocal cooing “it takes love to live here now” it becomes another, admittedly lovely, Vetiver song. It’s perhaps lyrically that the greatest progress, or at least greatest change has manifested, Andy’s lyrics have always had a similarly relaxed and generally upbeat vibe as his music, sure there’s always been a tinge of whistful melancholy but he’s always seemed optimistic. Here there’s a change in attitude, so on the Latin tinged Backwards Slowly he discusses “a life unsure of its promises beyond the daily grind.” On Stranger Still there’s more than a touch of bitterness, or even acceptance of his lot, to lines like “I’m in the real world, close calls and closing doors” and latterly “I’m in the real world where imitation wins the game.” That mood of disappointment permeates elsewhere, particularly on the excellent Loose Ends, a song that pairs a jangling electric guitar reminiscent of The LA’s with a consistently pounding drums and a vocal that borrows heavily from the Bob Dylan book of lyrical delivery. It finds Andy rallying against “the loose ends you call friends” who “don’t really know you at all” and the songs subject who’s “not who you’re showing the world.” It’s a plea for a friend who’s loosing themselves in a world of sharks but the way it’s delivered makes Andy seem more jealous than concerned and it doesn’t really suit him. There’s plenty of highlights, Last Hurrah is a slice of melancholic folk, his vocal a hushed, distant and undeniably sad delivery as he asks “how did it all get out of hand?” Edgar is a song with a darker edge, synths gently pulsing and swelling over a persistent kick drum and a gentle guitar line, it’s a dreamy wash of sound over a character study of the titular Edgar who “wasn’t all that wise and had a lot to learn” his tale is probably the albums lyrical highlight. Complete Strangers in many ways is a fine continuation of the Vetiver back catalogue and undeniably a welcome return, it’s immaculately produced, expertly played and clearly thought through in minute detail, but at times it’s almost too pristine, you’re begging for some of the lyrical dissatisfaction to come through into the music, for the whole thing to show a bit more bite, and be a bit rougher around the edges. There’s plenty to really enjoy here and some individually superb track but as a whole it’s just too tasteful and for all it’s sonic qualities it simply washes over you and leaves little in the way of a lasting impression. Complete Strangers is out now on Easy Sound Recording Company.